The good news is that I’m reading again, though slowly. The bad news is I’m not reading the books I need to. I fully expect to be in full panic mode towards the end of the month because of this. Long Way Down by Jason Reynolds – Goodreads – This was absolutely fantastic. It’s a verse novel the deals with gun violence and several other things, that might be considered spoilers. I found it to be powerful and definitely recommend it. This was my first Blackathon read. March Book One – Goodreads – Another powerful read and highly recommended. This the part one of three and deals heavily with John Lewis early life and the very beginning of the civil rights movement. Reading this made me realize how little I know about some of the key people involved in the civil rights movement in the 50’s/60’s, and how little I truly learned in school. The Poet X by Elizabeth Acevedo – Goodreads – I’m like 20 pages into this so I don’t much of an opinion but so far I am enjoying it and it’s a fairly quick read. I’m hoping to spend more time with it this week and hopefully return it to the library early. 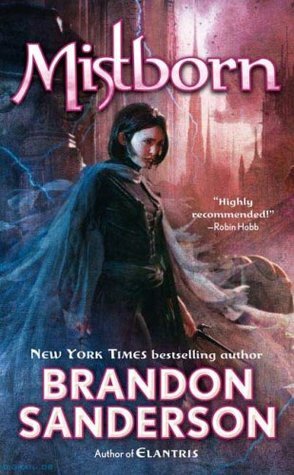 The Final Empire by Brandon Sanderson – Goodreads – I have might 0 progress in this…even though about half of the book club has finished it apparently. About 99% of them have enjoyed it though, so I’m definitely glad about that. I just need to actually read the damn book. The Forever War by Joe Haldeman – Goodreads – I made the goal to read more classic SFF, and so I have purchased a few of the SF Masterworks editions in an attempt to jump-start that. This is the shortest one I recently purchased and I decided to dive into it. I have a feeling I’m going to have issues with it, but it reads well and I’m quite curious about it. Kingdom Hearts 3 – I finally sat down and finished off KH3. The 2nd half went much smoother than the 1st half, and I find myself torn on how I feel about it. It definitely didn’t have as much storyline as I had hoped, especially given that there is like 9 or so hours worth of cutscenes. I complained before the game came out that I needed it to be the last one in the series…well it’s very clearly not, because I ended up with even more questions that I need to be answered. *sigh* This series…I love it, truly beyond all reason but if logic had anything to do with this I would have called it quits years ago. Haldeman’s one of those classic SF authors I haven’t read and kinda always wondered about. Will be curious to see your thoughts if you review it!